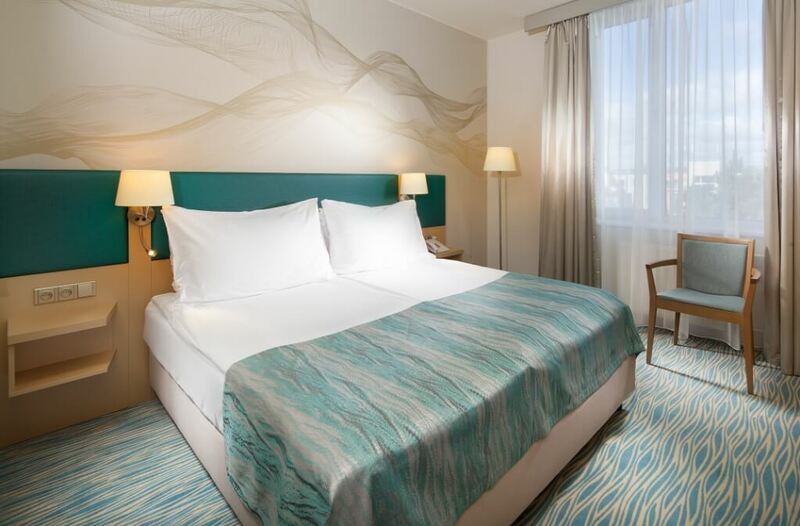 In case, you like to stay in design, modern and newly reconstructed hotel rooms, the hotel Holiday Inn Prague Congress Centre, situated in the very heart of Prague just stone’s throw away from Prague Congress Centre, is the right choice for you. 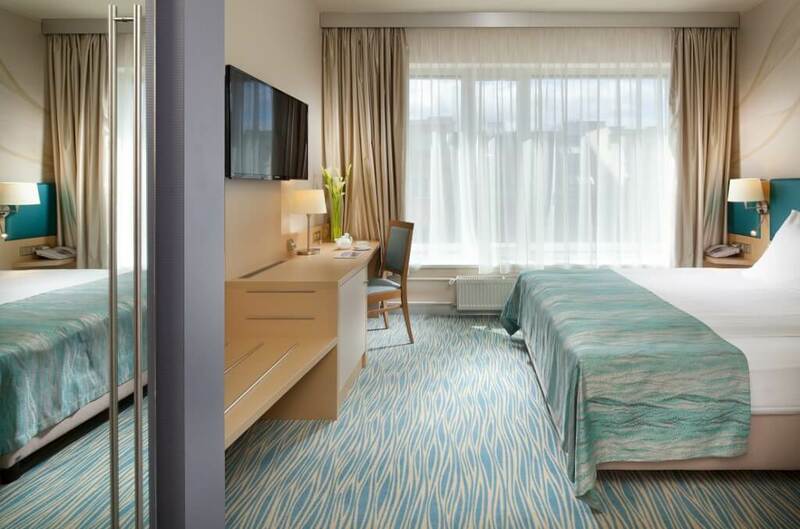 The Holiday Inn Prague Hotel newly refurbished executive, standard rooms and suites. Modern and simple design dominates the interiors together with calming turquoise tones in combination with light coloured wood. Executive rooms offer king, or twin option and guests can benefit from free use of Executive Lounge. Bathrooms are equipped with quality cosmetics, several sizes of towels and corner bathtub. In case you are travelling with your family, the suite with a folding sofa is an excellent choice. Large TV, high-speed WiFi, safe, minibar, iron, air-condition and coffee and tea set are part of every room. What’s more, you can choose from five types of pillows for your highest comfort. Come to try the newly refurbished rooms at the Holiday Inn Prague and enjoy the stunning view of the historical Prague.